Community-led housing - how will it help? 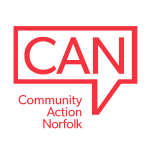 Community Action Norfolk has worked hard to support affordable housing solutions for many years, supporting charities with land and property, promoting the development of Community Land Trusts and providing support to organisations looking to support their communities. Norwich City Council’s Fuel Poverty and Energy team are promoting “Fuelling connections”, a Facebook group for people in Norwich to share how they save money in their homes and get the most from local services. The Public Health England’s 2017 Child Health Profiles collate information presenting an overview of child health and wellbeing in each local area. Following the meeting of the County Council on 20 February 2017 Norfolk County Council’s has formally confirmed a cut for housing related support (Building Resilient Lives) from £10 million to £7.925m in 2017/18 and £4.5m in 2018/19.